Ernesto llly International Coffee Awards program is designed to celebrate producer partners in Illy’s trade network and it was named after Ernesto Illy, who created this program 27 years ago in Brazil. 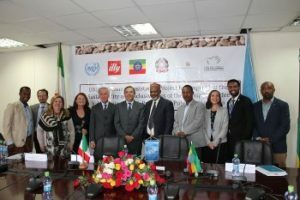 The idea was not only to give prizes to the growers who could reach the quality needed for the perfect coffee flavor, but also to educate them. The first annual Ernesto Illy International Coffee Award has been presented on November 1st 2016 in New York City. It was hosted by the Illy family at the United Nations and the awards were given to the top quality growers worldwide, including Brazil, Columbia, Costa Rica, El Salvador, Ethiopia, Guatemala, Honduras, India, and Nicaragua. Today, there is only a limited edition of the winners‘coffee in a special packaging. Illy’s current president Andrea Illy will be the host to the second Ernesto llly International Coffee Awards. In order to show their gratitude and appreciation for those people who contribute the quality of their coffee, they will organize an awards ceremony in New York at the United Nations headquarters since it is the home of the stock exchange for coffee and the United Nations. Illycaffè announces the 9 countries which will be participating in the second edition of the Ernesto Illy International Coffee Award chosen by Illy’s quality control laboratory during the 2016/2017 season’s harvests. The best of the best will be determined once the international jury has tasted the coffee of the 9 finalists and the awards will be given to the top three growers so as to affirm them to continue giving the best quality coffee beans to the world. The celebration will happen on October 16th, 2017. 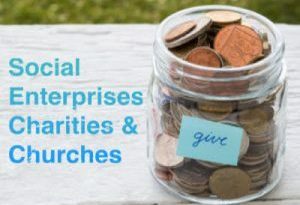 Why a Not for Profit needs to be Profitable!